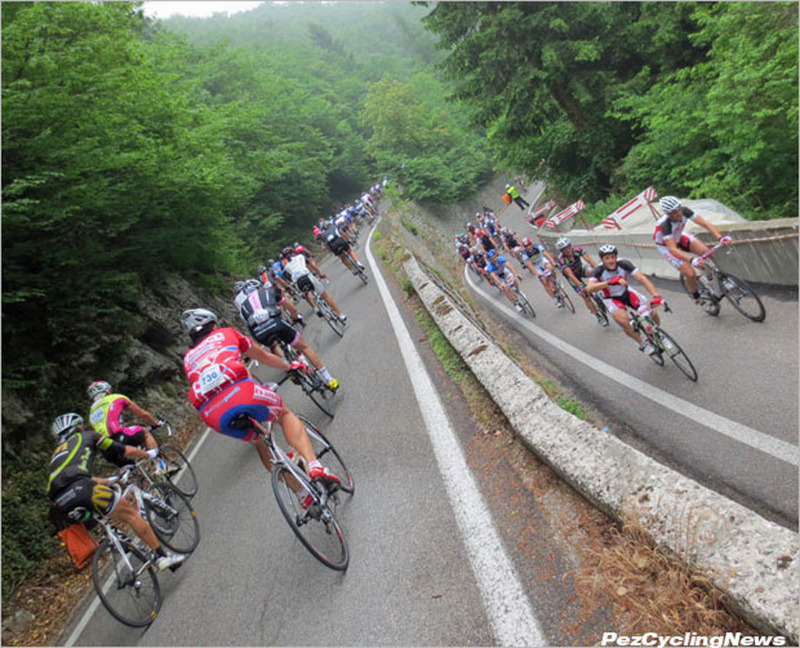 PezCycling News - What's Cool In Road Cycling : Top Ride Revisited: Gran Fondo Damiano Cunego! 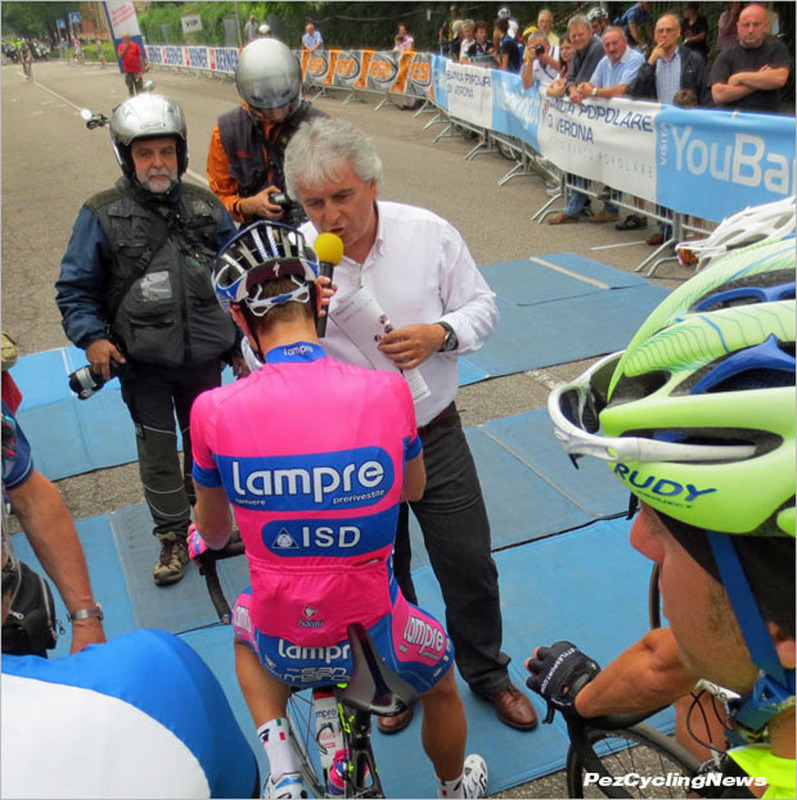 Top Ride Revisited: Gran Fondo Damiano Cunego! 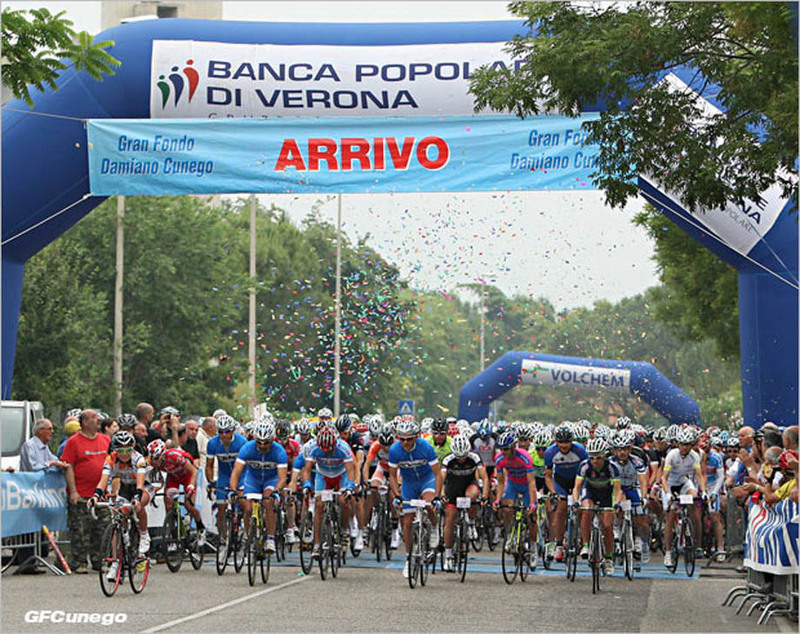 As part of our stay with Garda Bike Hotel for the Pez 10th Anniversary, we signed up to ride the GF Damiano Cunego in nearby Verona. Our hosts Nicola & Alberto know the region, the people, and handled all the details for our stay in Lake Garda, which left nothing for us to do except enjoy the ride. Like most things in Italy, what you get is not always what is promised. But that leaves the door open for the Italians to over-deliver like nobody else. 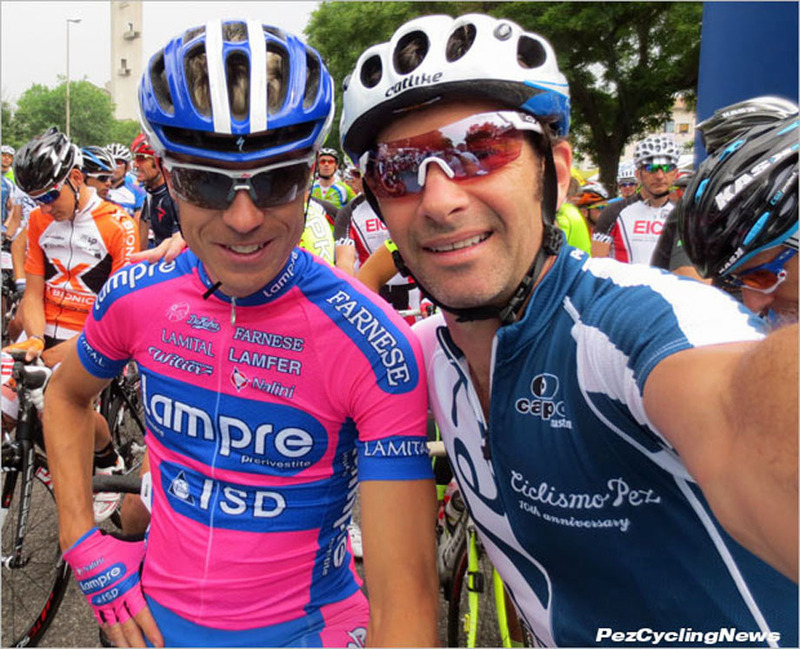 We figured our final ride at the GF Damiano Cunego would be another fine day on the bike with some buds, but in the end it was more than any of us expected. While we all rode the same event, most of it together, and we all shared in the same amazing day, each of us had a little different take on how it all played out, so I’ve asked each of the guys to present what part of the ride stood out for them. There were two options for distance – the 145km course which I’d originally suggested, (and after 5 consecutive days on the bike, I was thankfully voted down), and the more reasonable – but much harder than it looked on paper – 85km loop. Here’s the full course profile – our route went the 85km distance and followed the green line that descends to the finish, while the pros (Damiano et al) rode the full 145km – in the same time it would take us. 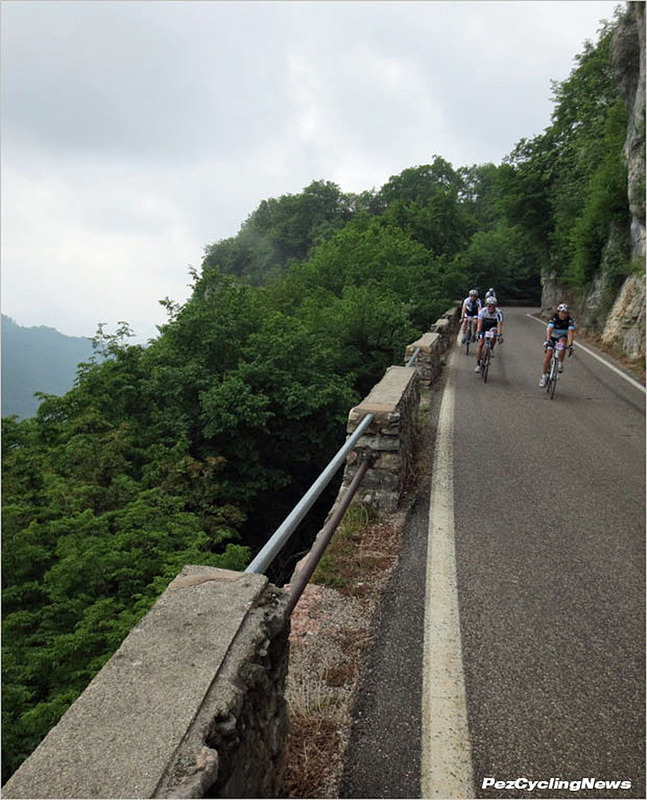 Both started with a flat 10km run to the bottom of the day’s first big climb – a 14km gain of about 800m that wound it’s way up a valley, snaked up the sides, then went even higher to the ridge in the hills/ mountains above Verona. The climb itself had a special timed section from bottom to top. The next ‘section’ was a 30km ride through the rolling hills along the top of the ridge, finally leading to one of the most fun 25km descents I’ve ever done, dropping us back into Verona and a few flat kms to the finish. As part of the 3000 rider-strong gran fondo, our wishful plan was to stick together as long as possible, then regroup at a couple of points if needed. In spite of the racey atmosphere of the ride and the obvious seriousness of most of the riders, we all agreed we were there to ride with each other. Thousands of riders were already lined up behind the ‘rope’ when we arrived, and getting through the crowd would have been impossible, except that our ‘journalistic’ status parlayed itself into some nice vip treatment, allowing us to line up right at the front with the pro riders, celebs like Eros Poli, and of course the race’s patron - Damiano Cunego himself. Eros Poli enjoys some pre-race banter. This was a big affair, complete with helicopter, announcer, video crews and more. Like most Italian ‘vip’ sections, this one filled up pretty fast, and soon we were shouldered in with dozens of others. 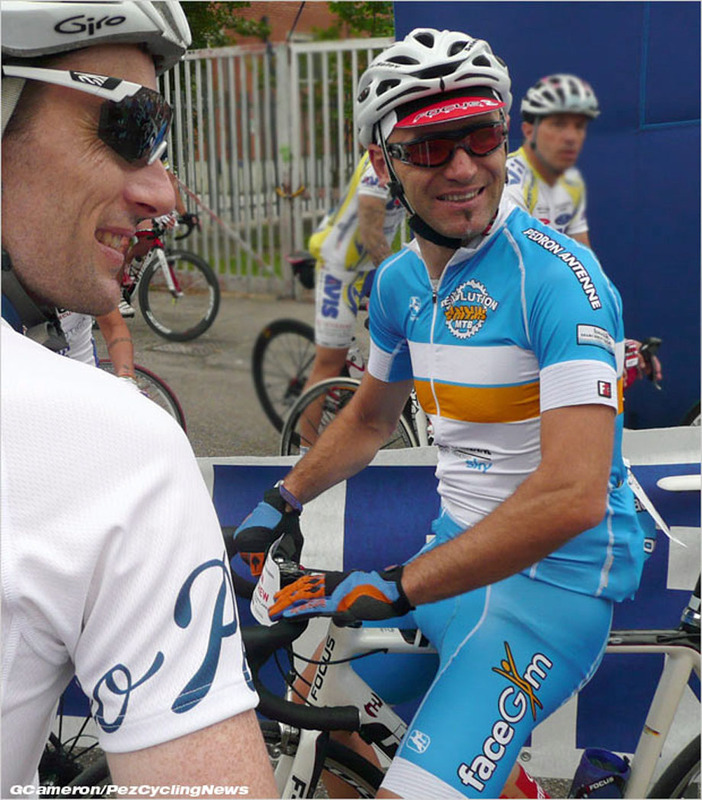 Like any pro, Damiano took his time arriving, and only showed up a few minutes before the start. With only one shot at this, and some encouragement from the boys, I threaded my way through the crowd and pushed into the front line beside Cunego. I wanted to say hello, see if he remembered our first interview back at the 2005 Giro, and grab a photo opp. Next thing I know the announcer shoves the mike in my face and I’m on tv! Announcer: “Tell me, as an American journalist, what do you think of our beautiful city of Verona, it’s beautiful arena, the beautiful women and our beautiful food…? Then I grabbed my own photo of me and the Little Prince for the archives, and made my way back to the Crew, fully charged with adrenaline and ready to go. And we're off! 3000 or so cyclists clicking in and racing away is always an interesting experience as the aroma of sweat and burning brake pads fills the nostrils whilst a mix of languages swearing and shouting fills the ears. Les, Seldo, and Corey talk strategy. For some reason, while the rest of us had our full names on our number plates, Chris had only his nickname – which he’d hear called over the loudspeakers some 4 hours later when he crossed the finish line. With the neutral zone literally flying by the flags were pulled in, the lead car sped away and the racing was on. The end of the neutral zone led to the start of the kamikaze attacks which saw the speed increase from a highly unreasonable 45 to a totally ridiculous 55-60kph. Well that's what speed it felt like anyway although I'm not sure if it actually was that fast but there was simply no way I was going to glance down at my speedo to check. Riding in a 3000 rider peloton needs 100% concentration if you don't want to be another statistic that's bitten the dust due to an ever so brief lack of concentration. 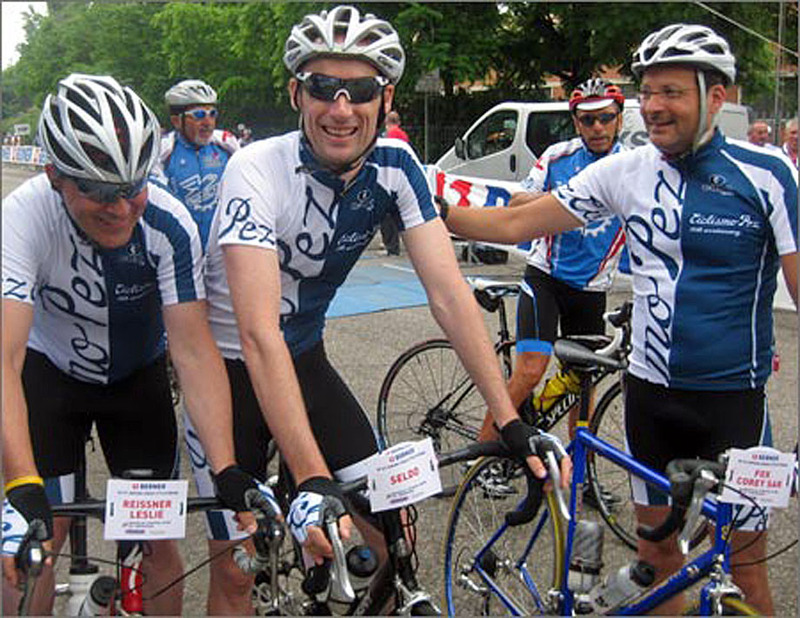 Our team’s assigned gregario for our stay was Marco – an accomplished racer, and part-time guide for Garda Bike Hotels. How did he do? He got us to the start, then bid us arrivaderci from the gun, taking off to finish 4th in his age category. He was so far ahead of us that when I phoned him from our coffee stop some 2-1/2 hours later, he was already done and changed. Now that I was safely ensconced in the first peloton and successfully keeping it upright I started working on the 2nd part of my gameplan - getting our special 10th anniversary jersey on TV. I figured I could do it in one of two ways - win the race, or go in the early breakaway. With both of these options requiring a sadly lacking need of both form and talent I instead came up with a third option, simply ride next to the camera motorbike who was sticking with the front peloton. Riding over the squishy carpet (that registers each participants' chip) started the timed climb - 10km at an average of 6% with a couple hard ramps topping 14%, even though we had already been gaining elevation for the previous 10km or so. But most importantly, this marked The Time When I Started to Have Fun and it would carry through to the end. All those nervous cyclists that were hitting speeds over well 40km/h suddenly crawled and suffered at 10km/h. Gaps opened up. The cream rose to the top or wheat was separated from the chaff and all those other metaphors helped to settled things down. The humidity was at its apex halfway through the climb. Everyone was dripping, even gushing, sweat. A reluctant sun and damp roads were fighting it out, leaving fog in their wake. I sat on the wheel of a fit, attractive 40-something with "Daniela" painted on her pink top tube as we continued to pass many cyclists that had so recently endangered our lives (also contributing to the fun). I took a few symbolic pulls, especially the few easy stretches where we could ride in the big ring - the trick is to be the first one to shift. Though we at PEZ have been accused (unjustly) of a few unkind things in regard to women, being un-appreciative has never been one! I ran out of water two kilometers from the finish and had to part ways with Daniela, replacing her with a 70+ guy on a titanium De Rosa. He was riding just a touch slower, but made up for this performance with another sort: chatting to anyone that bothered to listen to him. Loud too. "THAT THERE'S SOME KINDA FOG, HUH? DAMN SHAME, KILLS THE VIEW, YOU GOTTA TRUST ME, IT'S BEAUTIFUL LOOKING DOWN OVER THE VALLEY..." And so on. Corey arrives at the top of the big climb. With this much entertainment on tap, the last part of the climb, the part where I'm dripping profusely without water, went by better than can be expected. I ran over the squishy carpet again, looked up and saw SeldOh, StephenOh and PezOh waiting by the side of the road. Better yet, the sun was winning the war and drying out the roads for that descent that would come after the ristoro (where they serve you food). And best of all, some quick math told me that I averaged about 15km/h - definitely respecting the jersey today, my friends (or rather, thanks to some new friends). The first feed came not long after the climb, and as the sun finally shone, it was a welcomed break. Long grind uphill. Sweating buckets. Erbezzo. 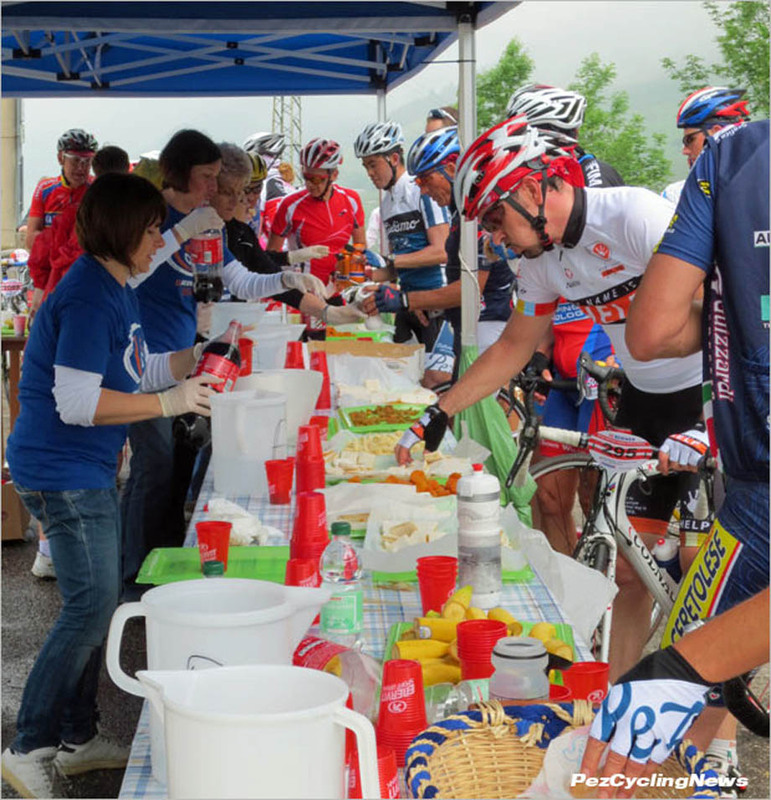 Feed station. Relief. Cola. Aqua. Grazie mile. Team Pez regroups. Laughing, joking. “Humid, eh?” “How quick did you climb?” “Not very.” Bananas and apricots. Sandwich. More cola. More fruit. Refill bidons. “Andiamo! Let’s go!” Click in, push off. Stretch the back, stretch the neck, side-to-side. Settle in the saddle. Roll downhill. Sweep north-west. Mist is lifting. Day warming up. Onto the drops. Picking up speed. Sun peeks through clouds. Cow bells ringing. Not the Alps. Feels like it. No tifosi today. Disinterested ruminants by electric fences. Mouthfuls of grass. Peals of music. Lush, high pastures. Team Pez lines it out. Swishes through corners. Racing lines. Sharp kit. Heat dries the open roads. Green leaf canopy. Under the trees. Road still damp. Shadows and road ruts. A Valverde paint-job Pinarello. A geriatric death wish. Oncoming traffic lane. Using the whole road. Survives the blind bend. Passing ones and twos. Heaving for breath. A little summit. A little church. Little houses. Big-hearted people. Cheering. Group ahead. Hunch aero. Drill it. Close gap. Sharp descent. Tight switchbacks. Concentration. Into town. CLANGCLANGCLANG. Church bells. Twenty to the dozen. Waving. Shouting. 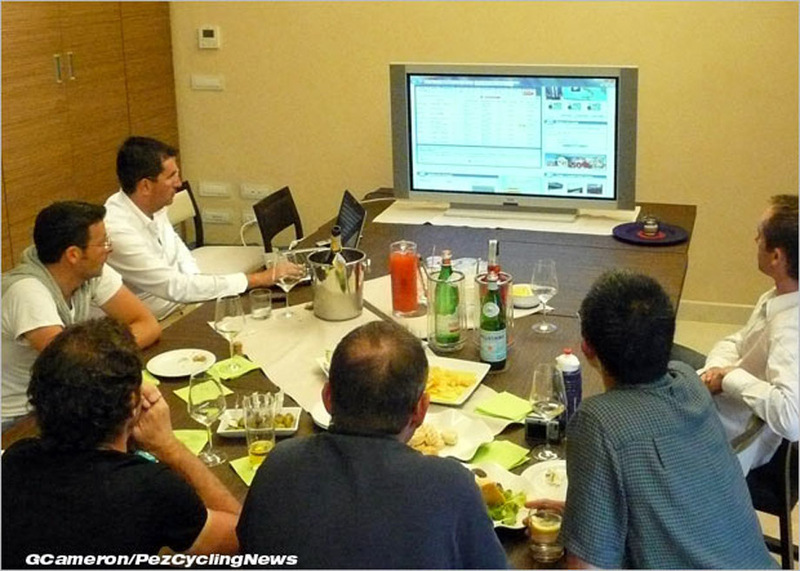 Team Pez in a cafe. Coffee break. Grazie mille. 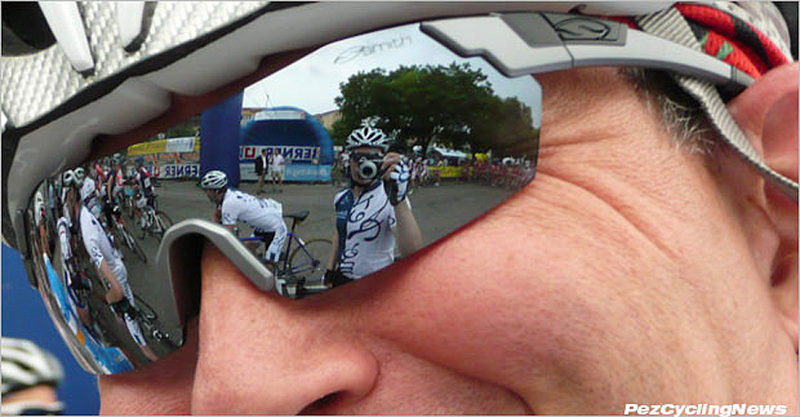 Les does the business modeling Smith Optic’s Pivlock V2’s. • By now we were pretty far off the back of the actual granfondo, thanks to our pledge to ride this thing with the guys we came here to ride with… us. 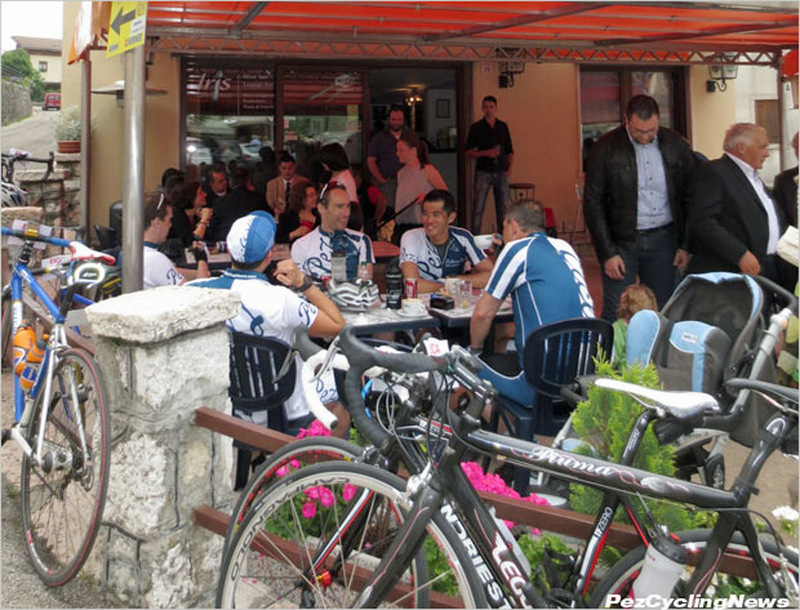 Nicola had told us about one last short but tough climb just before the long descent back to Verona, so when the pretty town of Rovere at the climb’s start offered up an excellently positioned cafe – it was an easy choice to regroup and refuel. 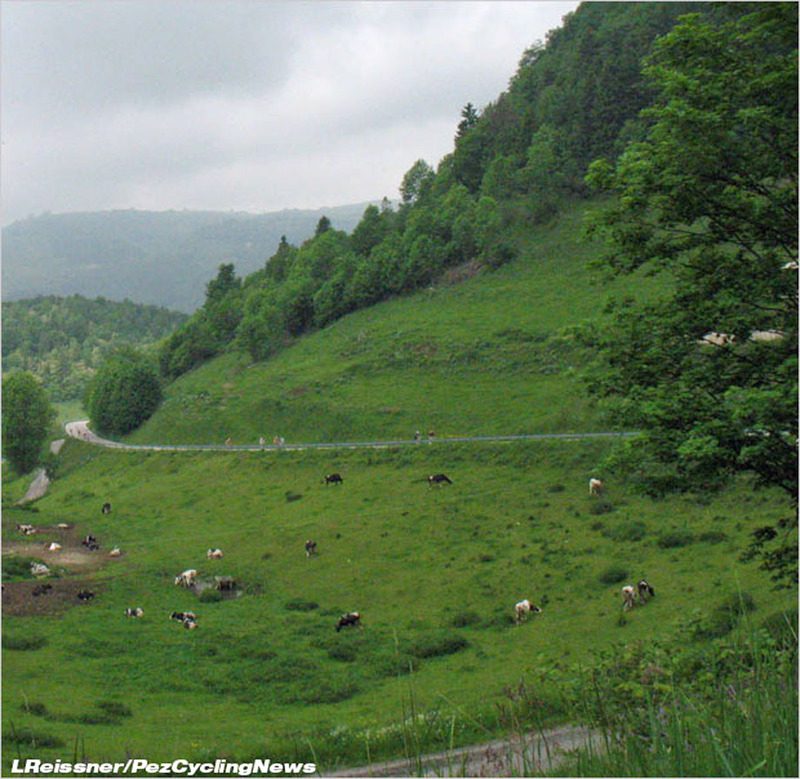 After the long, humid climb to Erbezzo, we enjoyed some fine up-and-down scenery, cruising high over the Squaranto River and passing quiet farmsteads and peaceful hamlets. 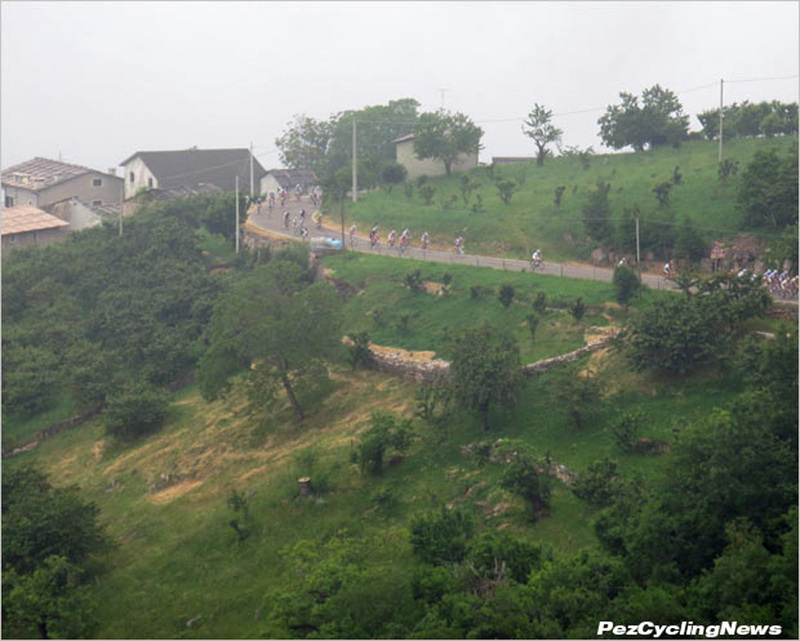 The attractive Pez team soon find itself rolling into a big town square where a lone policeman directed Gran Fondo participants to a left turn and a climb towards the aptly-named village of Velo. 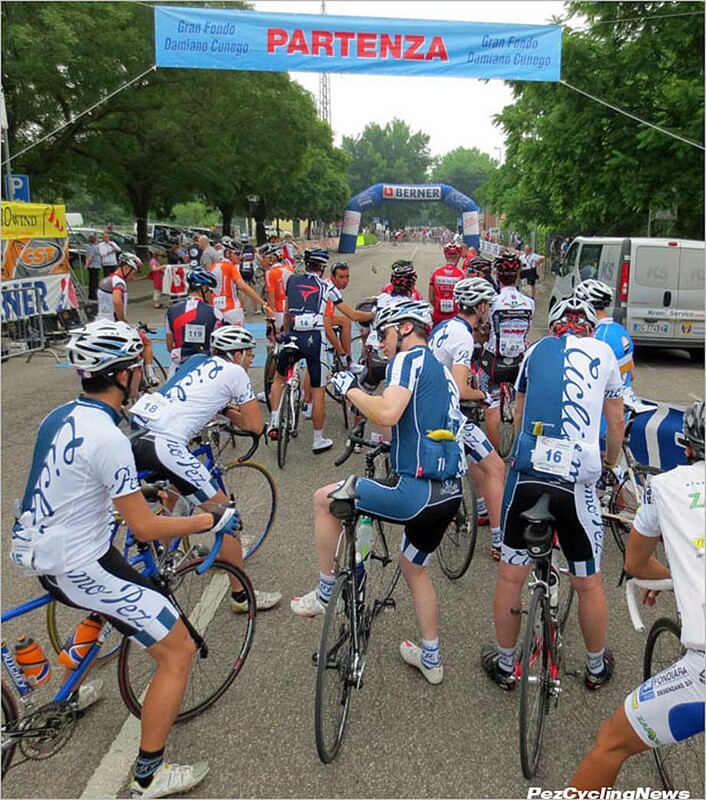 But taking the logical decision, we instead got off our bikes and sat down at the corner cafe to take in the sights and sounds of Sunday in the village of Rovere Veronese. 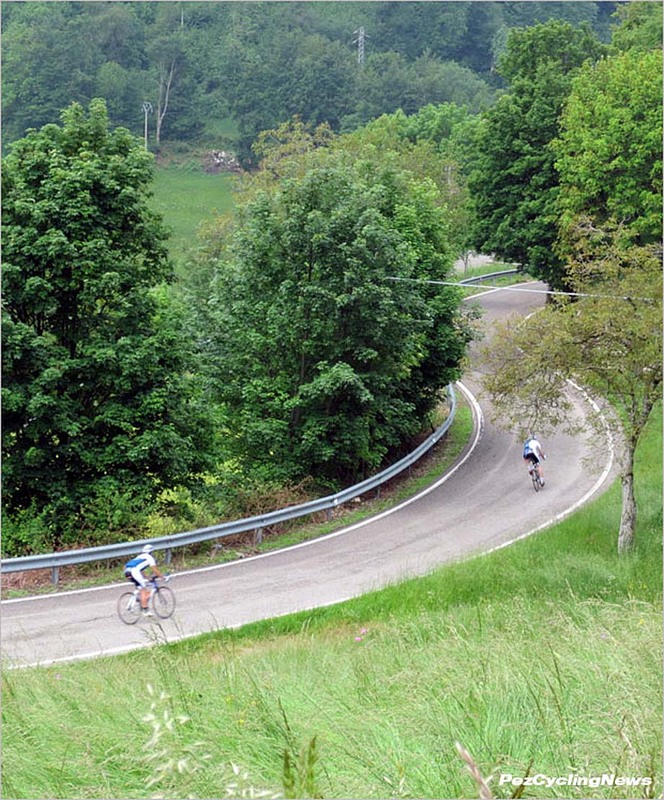 The final 15 km of the course was a fast and fun descent on beautiful roads back into Verona, giving us the chance to end the day testing our descending skills. As I'm having fun zipping down, I started getting passed by lead motorcycles with video and photog crew. Then right behind comes a pink and blue blur along with 3 others, followed by a race director car and several team cars. 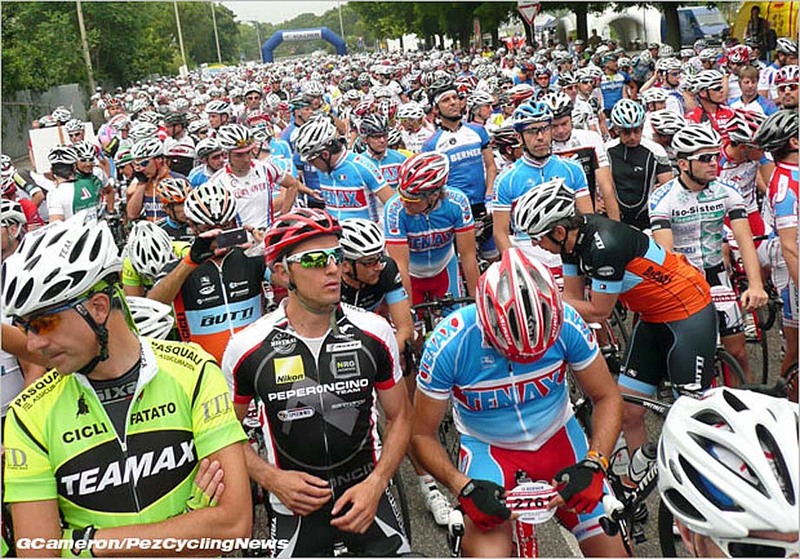 Crap, I'm in the finale of the 145 km race! Once that shock wore off, I decided to see how close I could stick with them on the descent. 5 km of descending and a peak speed of 78 km/h later, I find myself about 300 m back with 4 km of flat roads left into Verona. Luckily for me, Seldo the descending demon was up ahead (he did most of yesterday's hilly ride missing a front brake shoe~), and I ask if he could get me back up to the cars. "No worries, mate!" comes the Aussie twang, and he proceeds to drop me off at the cars after it cost me a lung. The pro men’s winner Alfonso Falzarano takes the win over Alessandro Bertuola, with our own Dr. Stephen Cheung right there in third! Okay, his official result is 720th, but that’s him on third wheel. Weaving through the caravan, I just had enough time to say "Ciao Damiano" before he and his buddy peel off prior to the finish to let the two leaders duke it out. Rounding the final 90degree turn with 300 m to go, they started winding up the sprint and I figured I might as well see things through, staying to the other side to keep out of the way. I end up about 5 m behind but right in the background of the pictures from the finish line photo gallery, too wasted to sit up and show off the PEZ 10th kit properly. Past the finish, our ever-smiling guide Marco, who placed 4th in his age group in the 85 km race, laughs and tells me that the announcers just screamed out excitedly that 3rd place went to Cheung! That was a ride to remember thanks to the expert guidance, local knowledge, and pure love for cycling that we experienced with Nicola, Marco, and the staff at GardaBikeHotel.com. 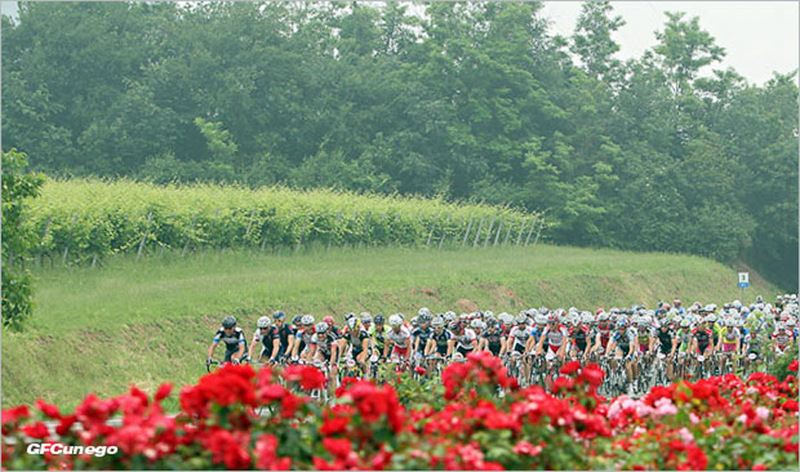 Give them a look for an amazing cycling trip to the Garda region, or for one of their special trips to le Tour or Giro.